These Halloween Steak Bites are served with a roasted cherry tomato and garlic dip! 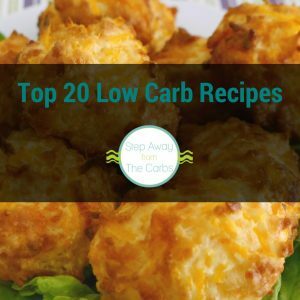 Low carb, keto, gluten free, and LCHF recipe. 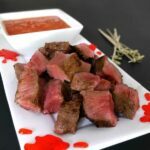 The seasoned steak in this recipe is cooked in butter and served with a super easy tomato and garlic dip: you’ve got to keep those vampires away!!! 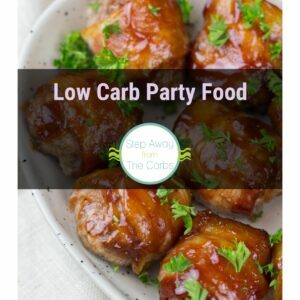 It’s a wonderful combination, and if you’re planning a low carb Halloween party – you just have to include this! The dip can be made in advance which is really convenient. The “blood” decorations are completely optional, of course – but they are fun in a gruesome way. They’re just window clings! 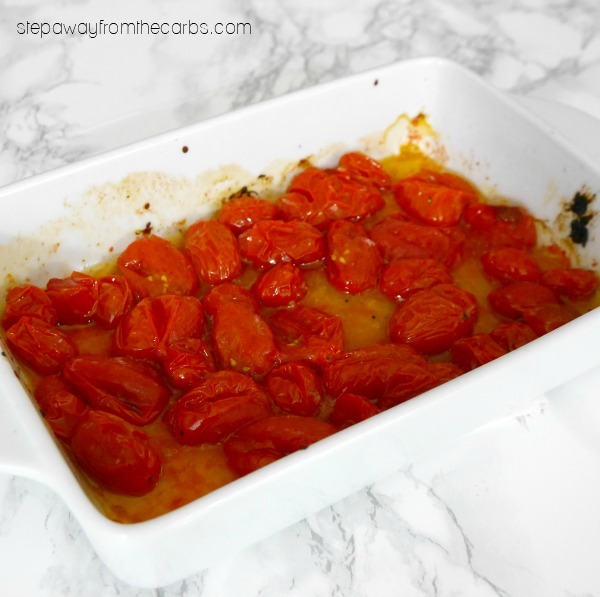 To make the dipping sauce, add cherry (or grape) tomatoes to a baking dish, and toss with olive oil, salt and pepper, and minced garlic or garlic paste. Roast for 15 minutes until they are super squishy and starting to burst. Let cool, then whizz it up in a small blender (I use an attachment on my stick blender) until it has reached the desired consistency. Check for seasoning, and add more salt and pepper if necessary. Store in the fridge until required. When it’s party time, melt some butter in a large skillet. Add two large steaks that you have seasoned with whatever you like – I used salt, pepper, and paprika – but you could use your favorite steak seasoning. Fry the steaks in the butter until done to your liking, then let them rest for five minutes before dicing them into bite-sized cubes. Serve the steak with the dipping sauce and some wooden skewers or toothpicks. Doesn’t it look perfect for a Halloween party? 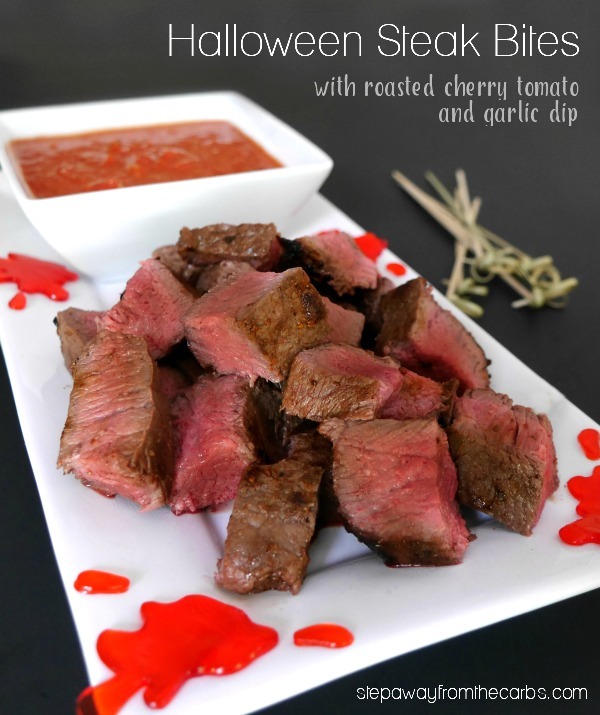 These Halloween Steak Bites are served with a roasted cherry tomato and garlic dip! 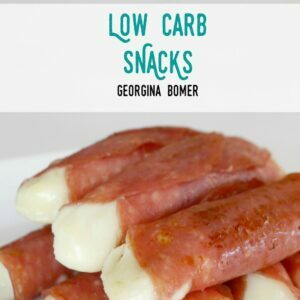 Low carb, keto, gluten free LCHF recipe. To make the dipping sauce, add the tomatoes to a baking dish, and toss with olive oil, salt and pepper, and garlic. Roast for 15 minutes until they are super squishy and starting to burst. 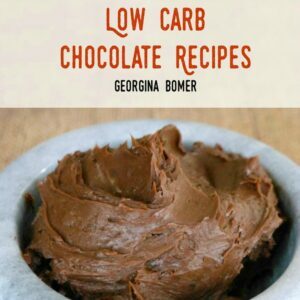 Let cool, then whizz it up in a small blender until it has reached the desired consistency. Check for seasoning, and add more salt and pepper if necessary. Store in the fridge until required. To prepare the steak melt some butter in a large skillet. Season the steaks and fry them in the butter until done to your liking, then let them rest for five minutes before dicing them into bite-sized cubes. 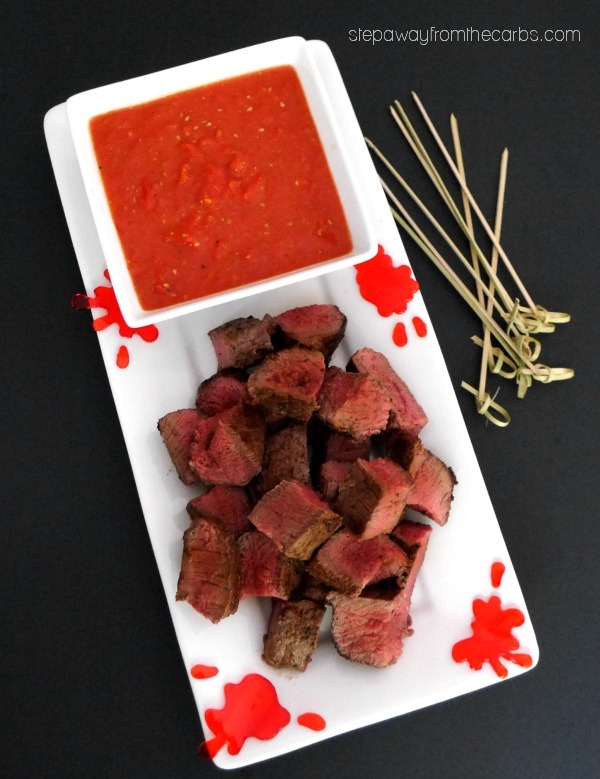 Serve the steak with the dipping sauce and some mini skewers or toothpicks. This recipe was inspired by a photo that I saw on Pinterest – the link was dead so I had no way of finding the owner of the recipe/idea. I printed the photo out ages ago, and now I can’t even find the photo online! Usually I like to give the source of my ideas when relevant, but this one will have to go uncredited! 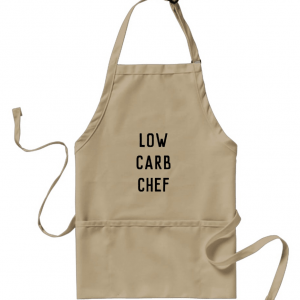 What kind of steak works best for this? Whatever you prefer! I used sirloin.